The GLP KNV Cube and KNV Arc is a modular designed LED system which can be used as a single unit or easily combined in an interlocking system. Making it easy for designers to create their own fixture designs such as a double unit or a quad cluster, all the way up to huge LED walls. In combination with the GLP KNV Arc, it is possible to create a huge variety of shapes such as a ring or wave like design. The GLP KNV System houses 25 high power white LEDs for maximum brightness and impact. 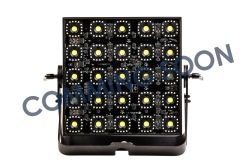 Each power LED is surrounded by 16 RGB LEDs for creative effects and powerful backlight illumination. All together one module will bring it up to 50.000 lm! 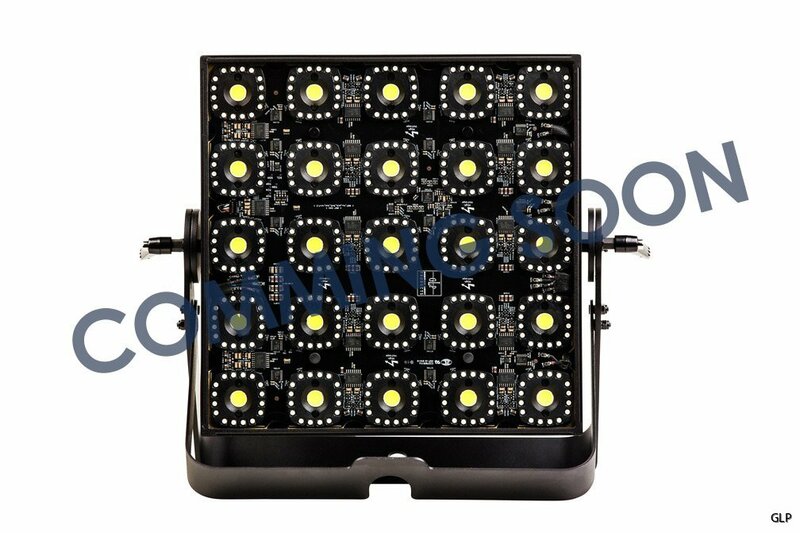 The modules are fully IP54 rated, so it can be easily used on festival Front trussing or outdoor applications.An integrated powerful FX engine offers easy handling of the pixels and creates stunning effects at a minimum of programming time.